Meet the innovative Yamaha EX - created for people who want maximum reliability and sheer on-water fun, in an agile machine that's both versatile and easy to handle. The fast, light, agile EX - fun you can afford. 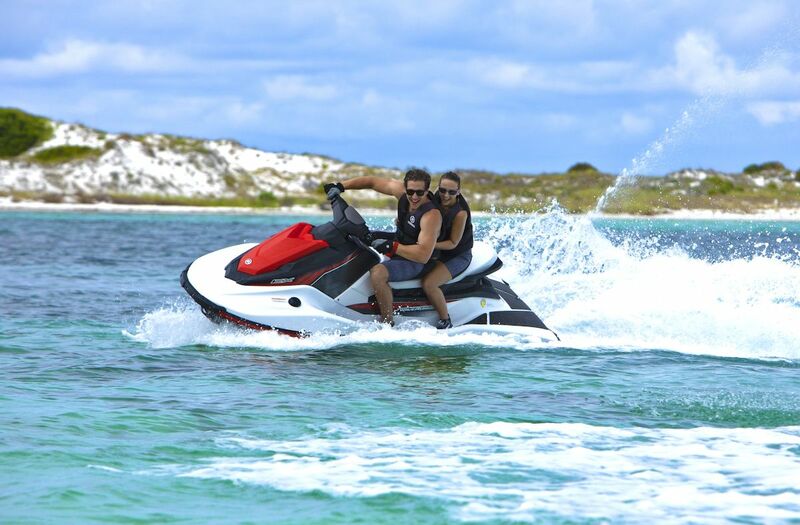 The EX Series was designed with all the reliability and technical innovation for which our WaveRunners are legendary, but with a no-frills approach that would deliver great value and economy. 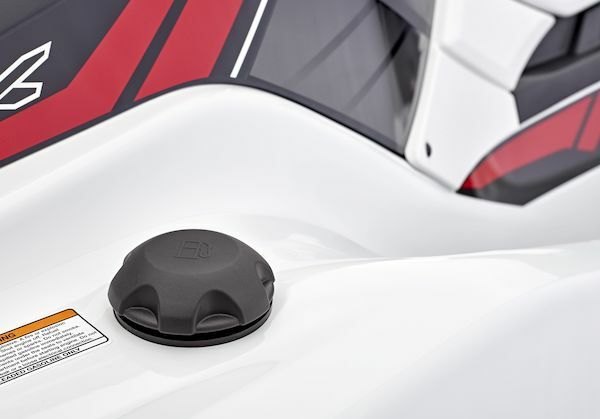 While this EX is the most basic model in the EX Series line-up, you would never guess it! 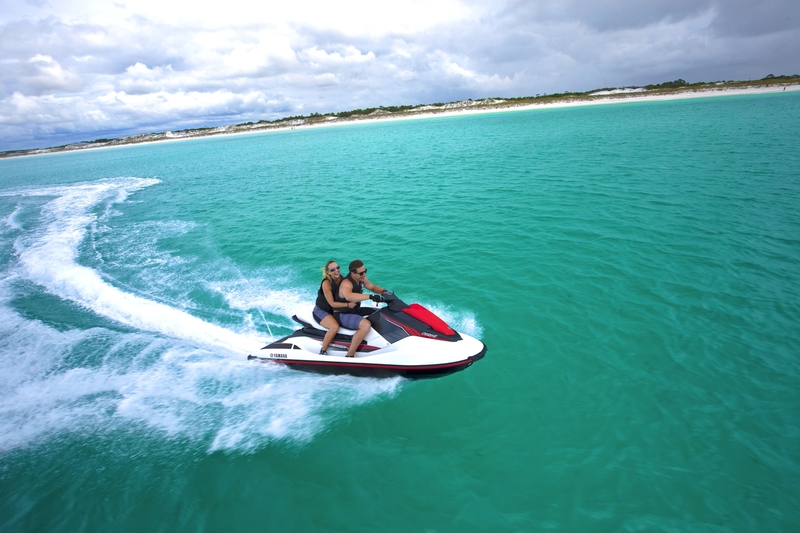 The EX offers all Yamaha’s famously smooth, reliable and economical power, plus everything needed to get you on the water in real style – from clear informative instrumentation to re-board handles, a tow hook and generous storage. 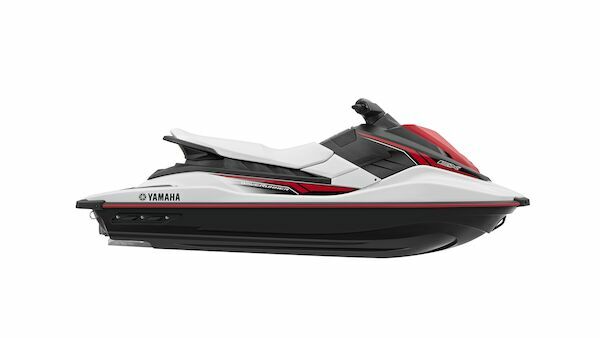 Despite its surprising affordability, this exciting EX model is powered by the latest version of our innovative 3-cylinder engine, the 1049cc Yamaha TR-1. 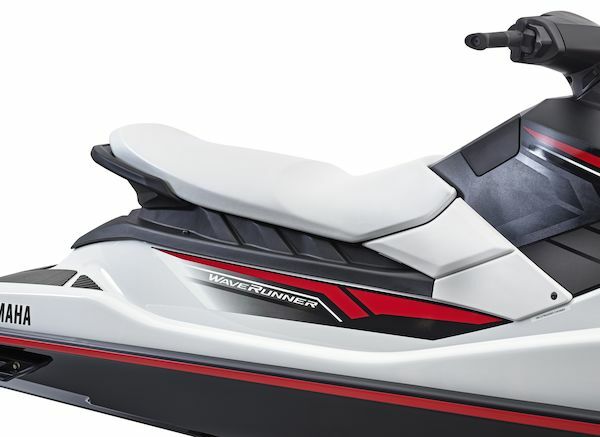 Its’ a compact, lightweight unit that packs real punch – with lively acceleration and great top-end power, plus all the legendary economy and reliability you expect from a Yamaha. 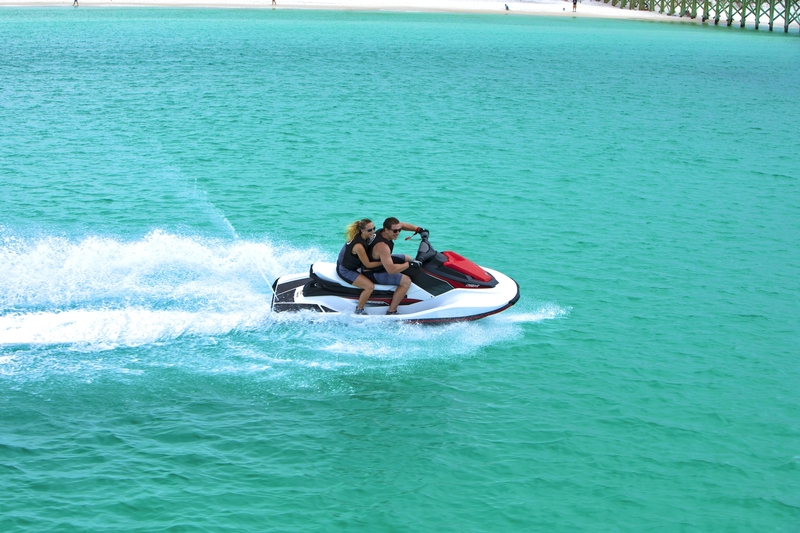 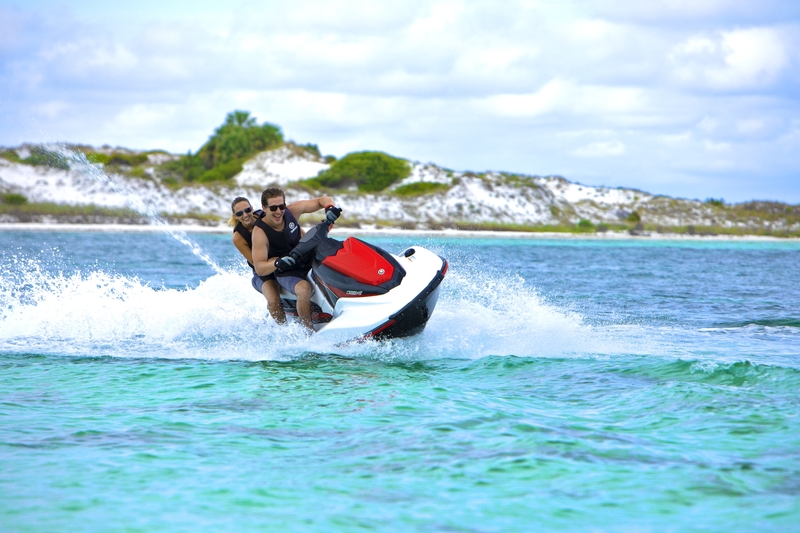 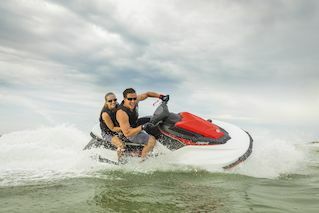 Exhilarating handling and exciting performance have long been hallmarks of the Yamaha WaveRunner. 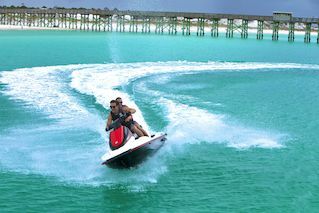 The instant ‘bite’ on the water and acceleration are made possible by a combination of a high-flow intake, Hyper-Flow high-pressure jet pump and a stainless steel impeller, which runs within a precision-engineered housing. 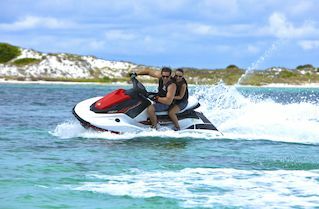 The ergonomically designed, precision-made seat is a very secure and comfortable place to be – perfect for sports riding or cruising with up to 3 people. 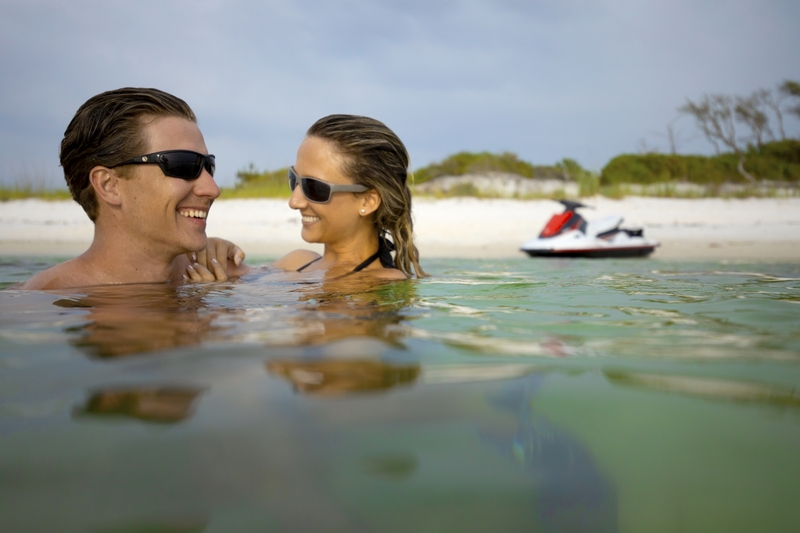 Its high comfort level will make you feel like it’s been custom-made to fit you. 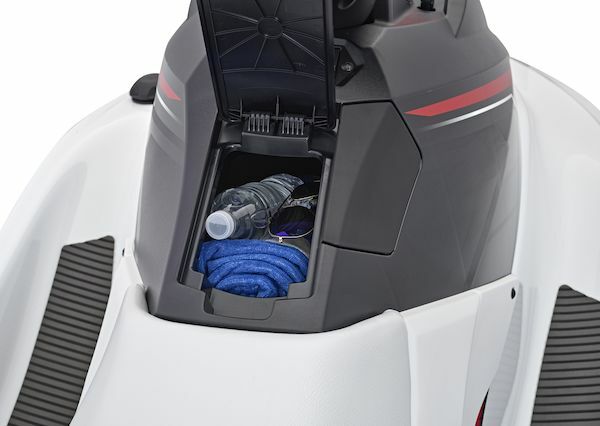 What’s more, there’s a very handy dry storage area underneath it. 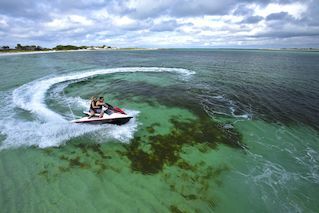 When you blast out on the EX, you probably won’t want to come back too soon, so we’ve built in a tank with a larger fuel capacity than any competitive watercraft (50 Litres) so your fun out on the water can last even longer – and you can cruise even further. 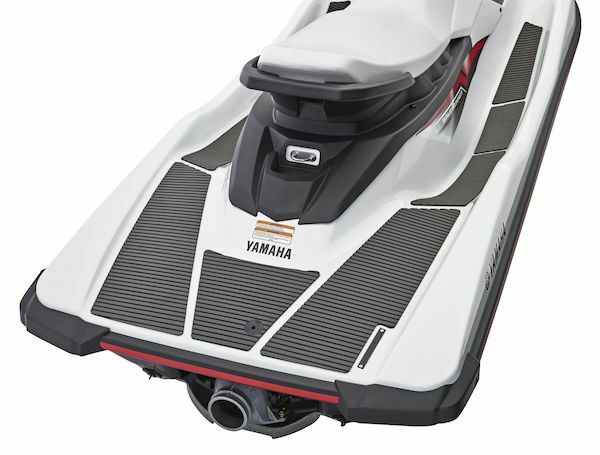 Thoughtful – and typically Yamaha. 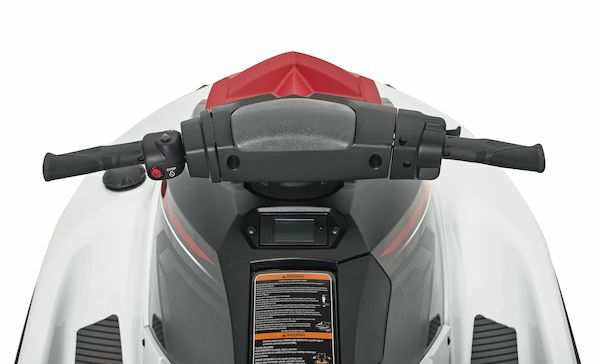 Great-looking multi-funtion LCD instruments mounted in a stylish cockpit panel are not something you might expect on such a keenly priced, affordable watercraft – but you’ll find them on the EX. 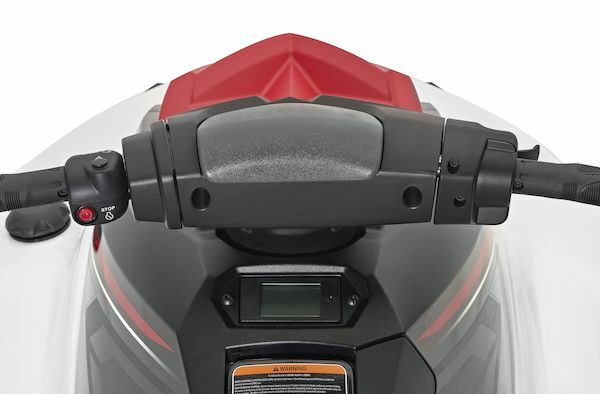 You’ll also appreciate the clear, easy-to-read Speedometer and Tachometer displays, as well as its informative readouts for Fuel Level and Hours Run. 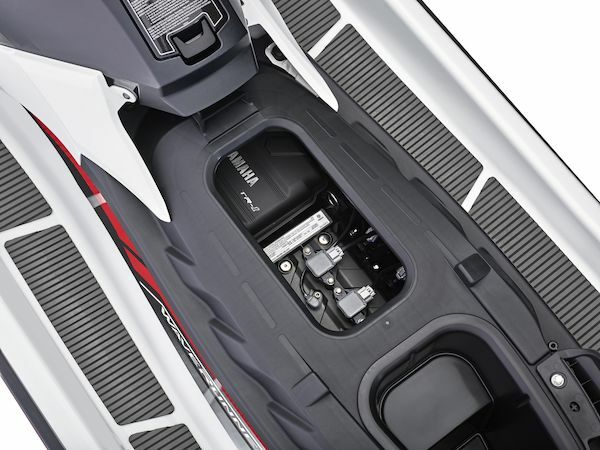 The EX has not only a wet storage area in the bow, but a handy Glove Box and a spacious storage area under the lift-up seat. What’s more, when you’re swimming – or towing a toy, skier or wakeboarder using the standard towing eye – the helpful re-boarding handle and non-slip mats are a real luxury. 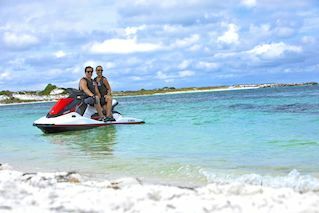 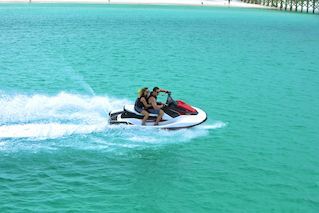 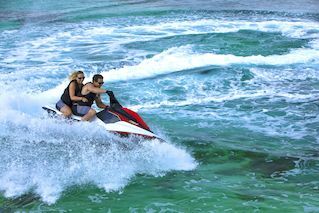 The EX models don’t just bring you the most affordable watercraft adventures, they look good when they’re doing it too! 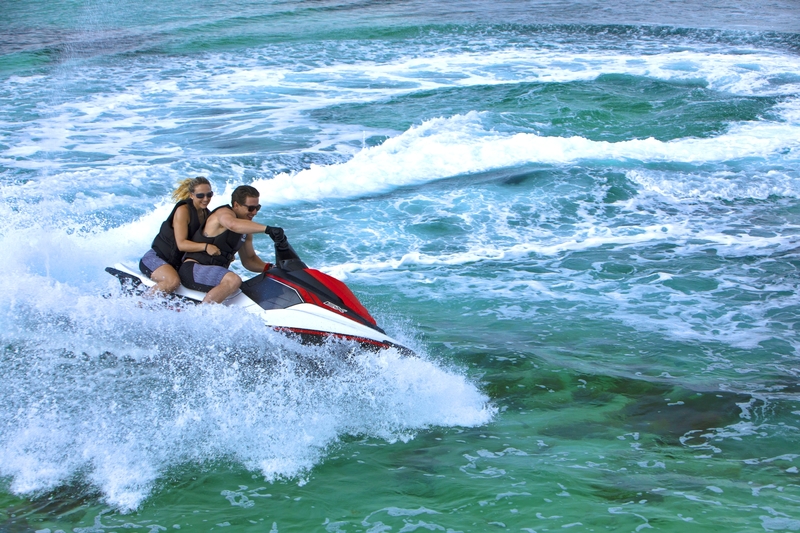 The bold colours and striking graphics are up-to-the-minute so you’re sure to get some admiring glances as you blast along the shoreline or glide into the dock. 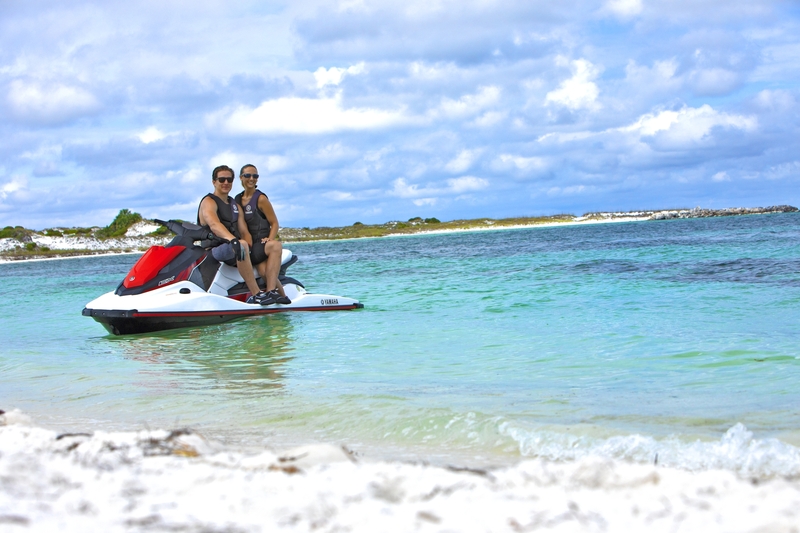 On a Yamaha EX, you really can ride with pride!